Vantage makes it easy to keep track of your deliveries. Your till screen will let you instantly see the orders you have waiting, drawing your attention to those which have been waiting longest. From there it’s trivial to select an order and assign it to one of your delivery drivers. The time that the driver leaves and returns is recorded, so you’ll know who is performing well and providing the best service to your customers. At the end of a busy shift when it comes time to cash up, Vantage makes this effortless. An individual report is produced for each driver showing exactly how many orders they have take and how much cash and card payment they have collected. It can also take into account deductions or additions due to delivery charges or fuel allowances. Getting your orders to the kitchen as soon as possible is important for customer service. Vantage supports any number of kitchen printers which can be set to print tickets for either the whole order or only certain categories of item. Label printing is also supported, and our printers can sound an audible alert whenever a ticket comes through so nothing gets missed. Of course, it’s also critical for your kitchen to keep on top of orders and avoid mistakes during periods of high demand. For this Vantage includes built-in support for kitchen displays (touch or non-touch), allowing your staff to clearly see what food needs preparing and how long it has been waiting. When combined with a touch screen staff are able to fully manage their displays, marking items ready as they are completed. In this industry, business doesn’t stop at 5pm, so neither does your support. 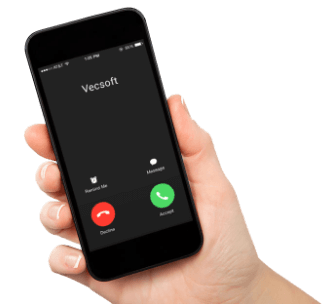 With Vecsoft Vantage, you always have access to our helpful and knowledgeable support team, 24 hours a day and every day of the year. There’s no cost either – our support is fully included in the system price. We don’t outsource our support to a generic call centre; every time you contact us you are speaking directly to the software development team which builds and maintains Vantage, so we know are always able to help you quickly and efficiently. Every business is unique, and that means that no one system setup can be a perfect fit for everyone. We know this, and we’ve built up a reputation for adapting and customising our software for the exact needs of the client. 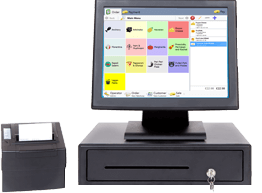 Our EPOS software is built entirely in-house by our expert team of software developers, which enables us to offer an level of customisation unmatched elsewhere. We always welcome suggestions for new features and improvements, and if your idea improves Vantage for the benefit of everyone, we’ll work with you to implement your idea at no cost! Fully-integrated support for card payment terminals eliminate mistakes when accepting cards, and speed up transactions. Supporting fine-grained user permissions and logging, you are always in control of everything that happens within your business. Tight integration between food orders and stock management, including automatic stock ordering. Vecsoft are always there to help, including 7 days a week, because we understand the varied requirements of the hospitality sector. Road data is used to automatically allocate orders to the most appropriate branches, taking each store's capacity into account. Visualize your data with a vast selection of built-in reports and graphs, and the ability to create your own custom reports. Enable your customers to place order on the go with a customized smartphone app. Increase your customer base by accepting orders directly from your website. Find what you're looking for with flexible search and filtering capabilities. Keep track of your drivers as they deliver to your customers, including detailed reports and statistics. Our menu system is the most flexible in the industry, allowing advanced customization and pricing, and minimizing kitchen mistakes. Vantage is live. Changes at any location are instantly visible worldwide - everything you see is up to date and accurate. Built-in support for sending SMS and email messages makes it simple to keep in touch with your customers. Send out promotions or build brand loyalty.